Photo courtesy of Positive Images Photo Labs, Inc.
A graceful balloon ride will take you above it all and offers panoramic views of Stuart and the Intracoastal Waterway. Christy Fischer lives in Palm Bay near Melbourne, in Florida's Central East Coast. She travels frequently throughout Florida entertaining family and friends from other states and countries and searching for new and inexpensive adventures. Christy enjoys outdoor activities such as surfing, snorkeling, and fishing. Located in Southeast Florida, Stuart, the county seat of Martin County, is a small affluent community. Stuart boasts a revitalized waterfront downtown and lots of quaint stores throughout the town catering to those willing to spend. Bargain shoppers can hunt for the practical or unusual at the B&A Flea Market located on US 1. There are also numerous natural and historic attractions in the area. The Elliott Museum (Tel. 561/225-1961) on Hutchinson Island portrays American households at the turn of the century, as well as showcasing Mr. Sterling Elliotts inventions. Mr. Elliott was known for inventing the bicycle steering system, and the more modern wagon wheels near the turn of the century. For those interested in experiencing nature, take a drive over to nearby Jonathan Dickinson Park (561/546-2771), located on the Loxahatchee River. The park entrance fee is $3.25 per vehicle up to 8 persons. Canoes can be rented in the park from $6.00/1 hour up to $22/day. There is camping, hiking and fishing available in the historic park. Or how about going to the beach and swimming up to a tropical reef? Snorkelers will enjoy Bathtub Reef, a free unique county beach park located on the sound end of Hutchinson Island. Sun worshippers can enjoy many of Hutchinson Islands other beaches such as the popular Jensen Beach. Feel like embarking on an unusual adventure? Try a balloon ride in Jensen Beach. For $299/2 people, Balloons Over Florida (Tel. 407/334-9393) will take you on a 1 hour adventure through the air. You will experience the panoramic view of the Intercoastal Waterway and other parts of both St. Lucie and Martin Counties. Upon landing you will be treated to a champagne brunch. Fishing enthusiasts should note that Martin County is known as Florida's "Sailfish Capital." At least 4 fishing charter companies are listed in Stuart's yellow pages, and there are probably many others. 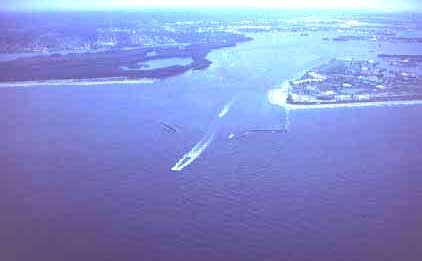 Most of these fishing charter boats are located on the waterfront of St. Lucie Boulevard, close to the St. Lucie Inlet. 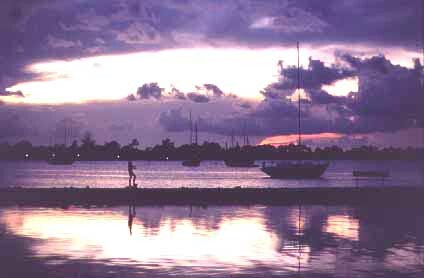 So if you are looking to shop, fish, or experience the great outdoors, take a drive to Stuart.